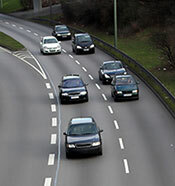 This 4-hour National Safety Council course is used around the country to reduce traffic accidents, fatalities and general violations by teaching up-to-date basic driving techniques. After successful completion of the class, each student will receive a certificate of completion. This course satisfies the Minnesota state requirements for court-referred violators. Check with your court to see if it meets local requirements. What is a preventable collision? If you cannot attend the class on the assigned date, you must call at least 2 working days before the class to reschedule without charge. If you are late or miss the course, you will have to register and pay again. Registration must be received at least one week before class date. Pre-registration is required. Confirmation with course location and date will be sent when registration is received. For more information contact Angie at angie.kupczak@minnesotasafetycouncil.org, or phone 651-228-7302 or 1-800-444-9150, ext. 302; fax 651-291-7584.